A global NGO, the Defence for Children International (DCI) submitted a joint report to UN investigators last month on Israeli crimes committed against Palestinians, specifically children. The organisation is an independent non-governmental organisation, which has been promoting and protecting children’s rights on a global, regional, national and local level for more than 35 years. A total of 56 Palestinian children were targeted and killed by Israeli forces and colonists in the illegally occupied territories during 2018, and another 45 children killed in the Gaza Strip since March 30, 2018, until the drafting of the report. Israeli occupation forces have been systematically murdering and maiming the innocent in Palestine for over six decades now. Who can forget the tragic image of a father shielding his 8-year-old son, as Israeli forces callously shot him dead while the cameras were running? Or the image of Rachel Corrie, an American from Seattle who defiantly stood in the face of Israeli bulldozers out gorging for more land, only to be violently crushed to death by the Caterpillar’s blades. Or the images of an 8-year-old girl shot in the head by an Israeli sniper out for target practice. Or more recently, of 8-year-old and 10-year-old children who were slaughtered as they were playing outside their homes. Or four Palestinian children playing by the sea and mercilessly shot down by Israeli aircraft? All this at the hands of Benjamin Netanyahu who like his predecessor Ariel Sharon is a man with war crimes coursing through his soul, and with no obvious intention towards peace. 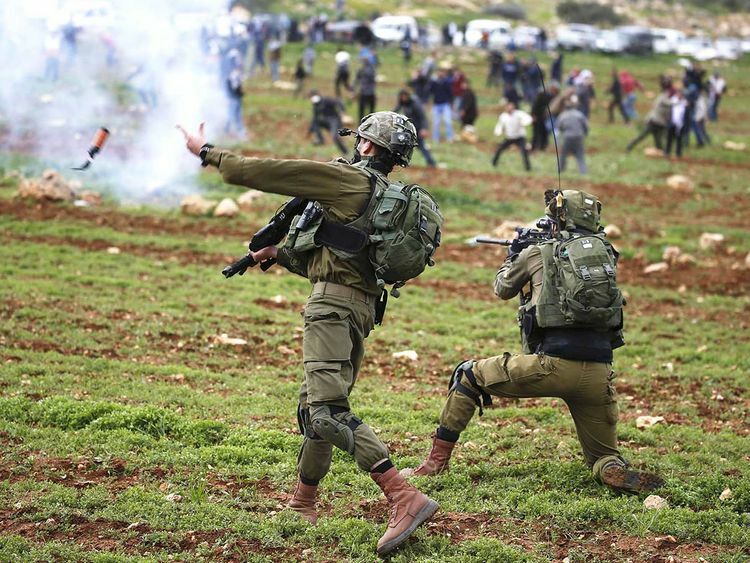 Despite repeated calls by the UN Human Rights Committee and others, Israel continues to ignore calls for investigations into crimes committed by the Israelis against Palestinians. It has remained mysteriously silent to the massacres of the residents of Sabra and Shatilla and the butchery of civilians in Jenin crafted by Ariel Sharon, the Israeli premier at the time, followed by the public display of pre-designed genocide of the women and children of Gaza by Sharon’s protege, Benjamin Netanyahu. The report never made it to the front pages of leading western media outlets and not surprisingly so. But for how long can the world’s conscience remain restrained and muted at the unlawful and appalling murder of innocent children?